This is a VERY important announcement, so please read! 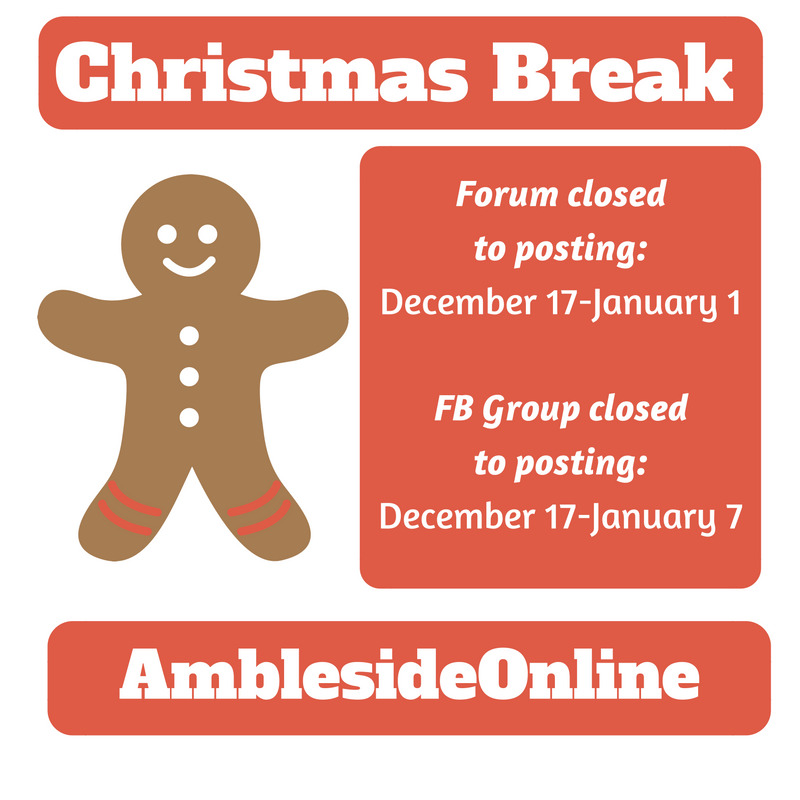 The AO Forum and Facebook group will take a restful Holiday Break beginning on Saturday, December 17. We'll re-open the forum again on Charlotte Mason's birthday, Sunday, January 1, and re-open our Facebook chat group on Epiphany, January 7. Thus, the forum will be closed to posting for two weeks, and the Facebook group will be closed for a three week period. Later. And not here. This area is public. Thank you for all the moderators!! Enjoy your well deserved break! Enjoy you much deserved break! You guys rock! I'm new to AO, but I have to say that this is fabulous! Enjoy the rest and family time, everyone! So sorry I've missed it, must've been fun. fun makes me less anxious (I have legit anxiety, doc even put me on valium).